Whether you need a new heat pump, A/C unit, temperature control system, a Air Conditioning unit serviced or repaired, or anything else related to the residential Air Conditioning systems; we at Midlothian Mechanical are the ones to get the job done. 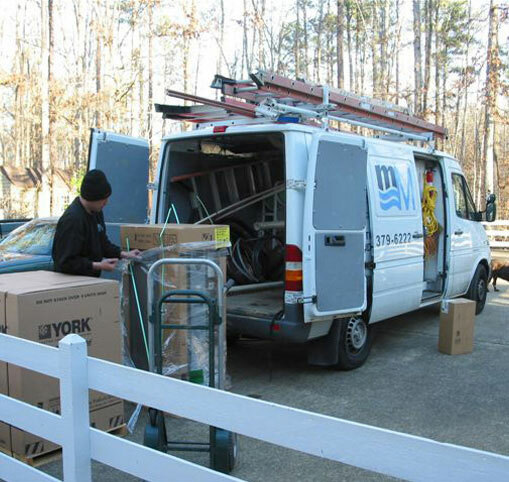 We do it as quickly, efficiently, and painlessly (for you) as possible. We operate 24/7 for all 365 days in the year. Anytime your residential heating system experiences a glitch (or worse, a melt-down), we will be there as soon as possible to get your heating system working again. The following list shows the complete list of services we perform to ensure the productivity of your heating, air conditioning, and gas systems. If you’re interested in us performing these tasks twice a year for good measure, sign up for our comfort service agreement. Call 1 (804) 379-6222 and ask us about our premium service plans that have more benefits than our original service agreement.